I am finally back with a product review in this blog. This is actually part of my long overdue posts and I am trying to put things together so I can regularly update my blogs. Although I am not really a mascara person, I still like to do this review for those of my readers who are looking out for good mascara’s to try. 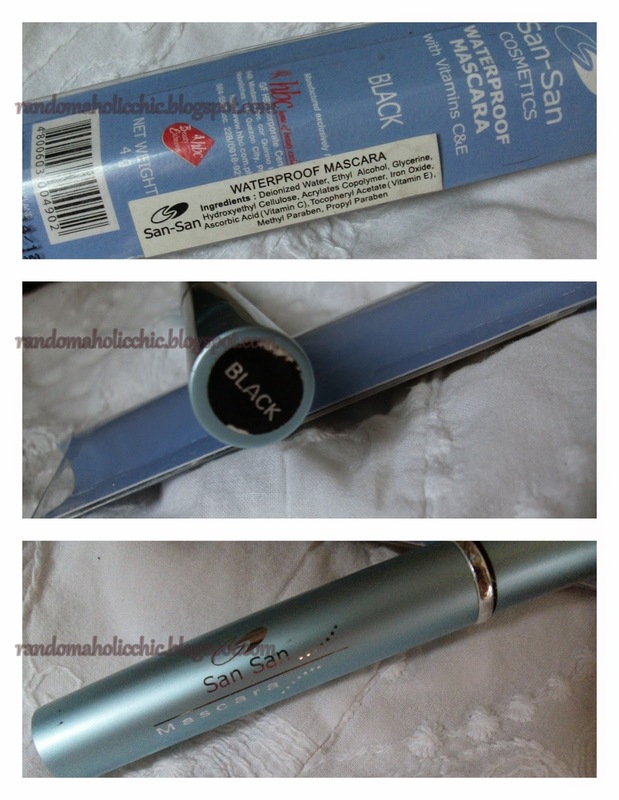 I will be reviewing an affordable mascara from HBC, San-San Cosmetics Waterproof Mascara. To be honest, I am not really into mascara but since I have few to consume, I try to use them sparingly whenever I can accommodate. I don’t want my mascaras to expire on me without even using half the product, I cannot afford to waste any product. 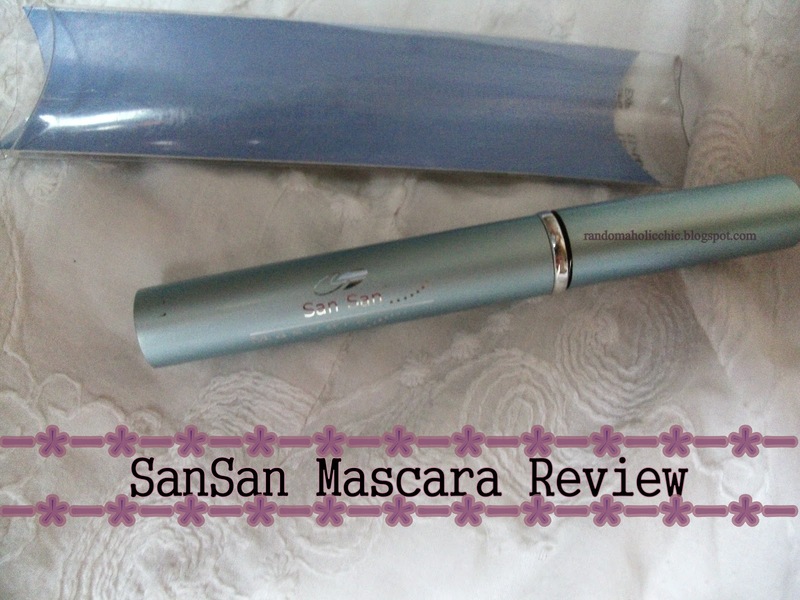 One of my mascaras that I am currently using a lot lately for running errands is my SanSan Cosmetics Waterproof Mascara. As you can see on the photo, the ingredients also includes two types of Parabens. I personally don’t mind if there is a paraben included on the ingredients since it is commonly used in makeup products so the cosmetics will not expire right away. Perfect brush style, slightly curved. Only available at HBC store. I tried to put few drops of water on it then I slightly rub off. This mascara is only 50% waterproof. It smudges easily when I tried to slightly rub my eyes. Here is the mascara on my eyelashes, be the judge! Overall, this mascara pretty does a good job in giving a decent volume for the price. Not too much and not too less, just the right volume. 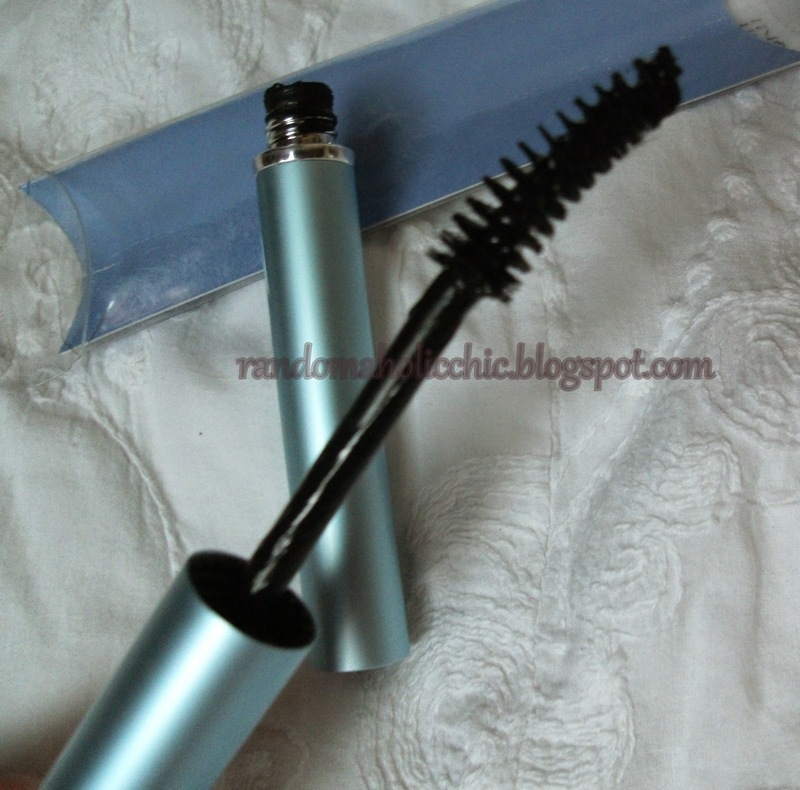 This is a budget-friendly mascara I can recommend most specially if you are starting out on makeup. I have few issues about the packaging tho because there’s still a lil space when you that causes the mascara to dry up, please refer to the photos. And when you put the wand/spooley inside the tube, the excess product are too much as you can see at the photos. It got good score for not irritating my eyes. I have no issues with the longevity but I won’t recommend to wear it if you will spend your entire day under a humid weather because it has the capacity to smudge and mess your look. I use this mascara when I was in high school it really lengthens your lashes. very affordable as well.